Create product add-ons using the powerful form building capabilities found in Gravity Forms. 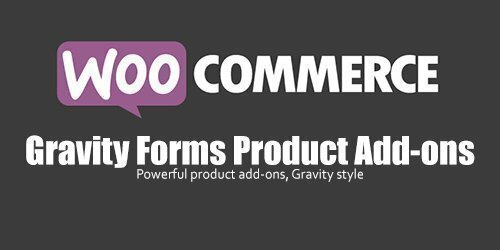 With the Gravity Forms Product Add-ons extension, advanced product configuration forms can be built and linked to any product in WooCommerce. Forms that contain conditional logic, pricing fields, user input prices, conditional-pricing fields, conditional submit button logic can all be created for your products. Additionally, any product that contains a Gravity Form is tracked in the cart to ensure, no matter how complex your product form only unique configurations are added to the cart and duplicates are incremented in quantity. The Gravity Forms Product Add-ons extension gives you full control over how the display of the prices in the store should appear. You can use the default price displays that WooCommerce will display, or in the case of a configurable product containing pricing fields, set the price to something such as “As Low as $1000″. You also have control over when the built in automatic price calculation will be displayed, if at all, and have the ability to configure each label individually.